Blocked drains in Doncaster or surrounding areas? 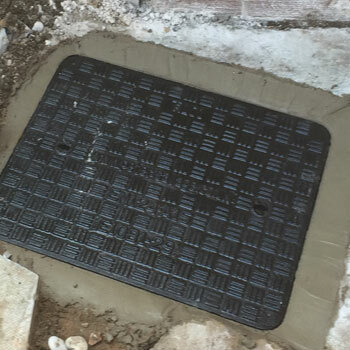 If you have blocked drains in Doncaster or the surrounding areas of South and West Yorkshire, Johnsons Drainage can help. Johnsons Drainage are a local professional drainage services business based in Doncaster. We cover both South and West Yorkshire areas. We specialise in clearing blocked drains quickly and with minimal disruption. We carry all the tools and equipment to get drains unblocked fast in a professional manner. We carry traditional drain rods to deal with straightforward blockages and this helps keep costs to a minimum. However, there are some situations where drain rods are just not up to the job and that's where our drain jetting equipment comes into play. We use high pressure drain jetting equipment that can efficiently break down drain blockages and get the drain unblocked and flowing freely. Blocked drains need clearing quickly! The first sign of blocked drains is usually the smell of raw sewage rising from manholes or drain covers. This can be a major health hazard if not dealt with immediately. Many people will try to clear a drain themselves before calling the professionals but this could cause more harm than good where carried out by un-trained persons. With our range of options to unblock a drain, whether it be good old fashioned drain rodding or high tech drain jetting we have the equipment, skills and experience to cope. If there are underlying problems causing the blockage or you regularly suffer from blocked drains, we can carry out a CCTV drain survey to find out the cause - you may have a collapsed drain, root damage that can't be seen above ground. before a blocked drain becomes a major headache! Johnson's Gutters and Drains and Johnsons Drainage Services are trading styles of Johnsons Drainage Services Limited. Registered in England and Wales. Company Registration Number: 10621856. Registered Office: Unit 20, Leger Business Park, Churchill Road, Doncaster, DN1 2TF. Copyright © 2017 - Johnsons Drainage Services Ltd. All rights reserved.